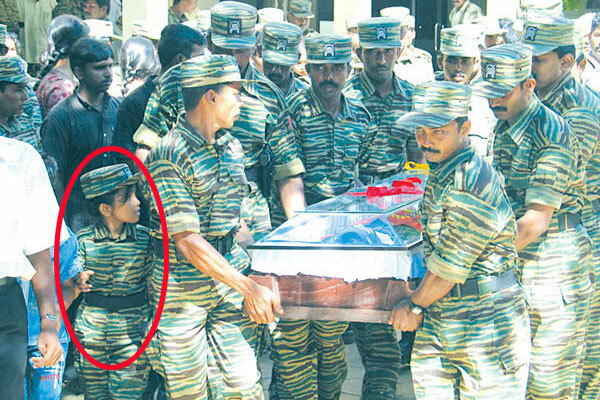 ~ gtkisaru ~: Why is Prabakaran’s son death any different from Children killed by LTTE? 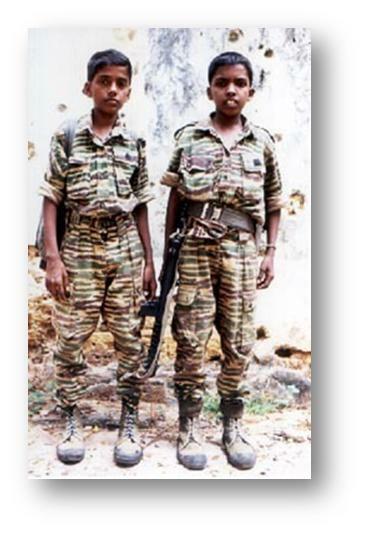 Why is Prabakaran’s son death any different from Children killed by LTTE? How did International Community forget so soon LTTE killing of 33 Buddhist monks including 30 young novice monks between 10 to 14 years at Aranthalawa on 2nd June 1987 ? And What About these Killings carried out by the LTTE? 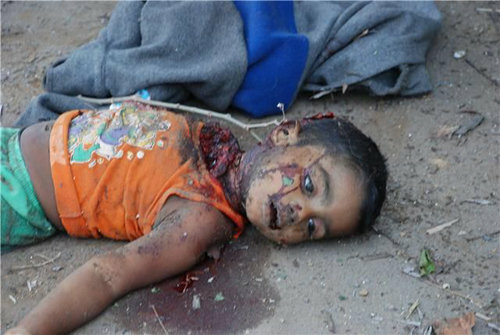 Why does international media, NGOs & Human Rights Groups and UN members attention get diverted ONLY towards a picture of a dead terrorist leaders son ignoring footage of innocent civilians & children killed by LTTE strikes over 30 years and not a single foreign documentary was released accusing LTTE of war crimes to seek justice for these killings? As expected sponsors have guaranteed Channel 4 another sequel to Sri Lanka’s Killing Fields which shows an image of Prabakaran’s son killed on 18 May 2009. No sooner it hit the internet foreign media all began to give prime time news coverage referring to the image as “barbaric” calling it a “chilling piece of footage”. Jon Snow Channel 4’s presenter describes the clipping as a “horrific scene”. As was expected the new video has gained international condemnation against Sri Lanka and well timed to coincide with the US resolution on Sri Lanka at the UNHRC sessions. 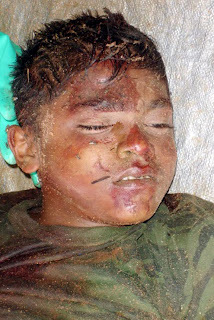 Can an image tell if the terrorist leader’s son was killed in cold blood, or that his bodyguards were tied and killed before shooting the child by barbaric Sri Lankan forces? To prove this Channel 4 presents Prof. Derrick Pounder, a forensic pathologist at Dundee University who has analysed the image and arrives at the following conclusions? That the boy was shot 5 times rather than killed in combat duty. Prof. Derrick Pounder says that the “speckling from propellant tattoing” indicates the weapons muzzle was 2 or 3 ft or less from the dead boy’s chest. Prof. Derrick suggests that the boy could have even touched the gun with his hands. He does not say anything about the boy wearing clothing when shot since clothing is an important feature in determining gun shot wounds! 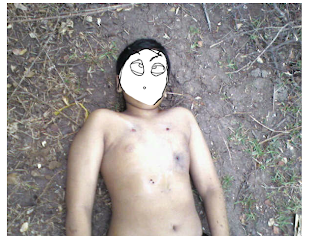 Prof. Pounder says the boy had fallen backwards after this gunshot whilst the shooter stood over him and fired the other shots. Prof. Pounder concludes “this is a murder” or in Channel 4’s terminology “execution” by Sri Lanka’s armed forces. If by looking at an image and concluding the cause of death to be an “execution” & cold blooded murder is there any reason to conduct autopsies? It is believed that about 25% of the time, an autopsy will reveal a different cause of death than the one everyone believes is the cause of death! Moreover forensic experts almost always order x-ray examinations whenever a firearm is involved. Prof. Pounder however could have derived at a psychological autopsy having spoken to LTTE front organizations! Prof. Pounder also says “it was possible the boy was made to watch the execution of his bound and blindfolded guards before the gun was turned on him”. How does Prof. Pounder know that the 5 men were his bodyguards & who told him? Can someone in the UK looking at an image give a credible theory about the cause of death, what led to the death, the surrounding environment of the deceased and ascertain that death was due to “execution” without even examining the body – do we then need to conduct autopsies at all? Now we come to the part where an investigation is called for on the death of a terrorist leader’s son which brings us to next ask – was the deaths of the innocent children killed by the LTTE not important enough for the international community to cry “war crimes by LTTE”? These are just some examples of how LTTE targeted & killed children. In June 2006, Sixty four innocent civilians including 15 children were killed and 87 others injured as the LTTE detonated twin claymore mines targeting a jam-packed civilian bus plying to Kebithigollewa. In April 2006, LTTE hacks a young mother while she was breastfeeding in Serunuwara in Trincomalee. 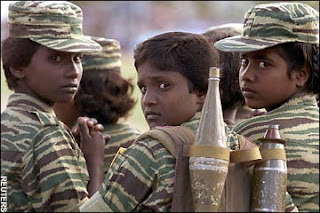 In 2000 Batticoloa, LTTE bombs a Buddhist festivity near a temple killing 29 people including 6 children. 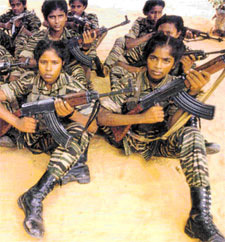 In 1999 LTTE attacked 3 villages in Ampara. 58 Sinhalese villagers including 17 women, 2 pregnant mothers and 14 children were hacked to death with machetes & knives including those that were sleeping. Those who tried to seek refuge in the jungles were chased & killed. 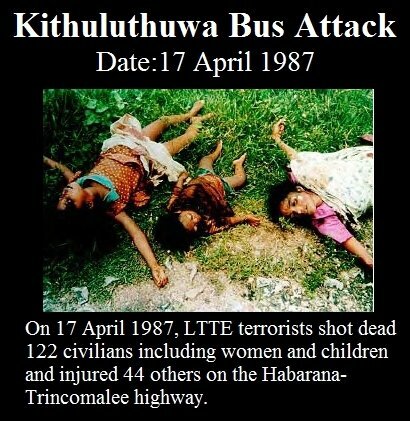 In November 1995 an LTTE female suicide bomber exploded herself near a railway station in Colombo killing 15 children. 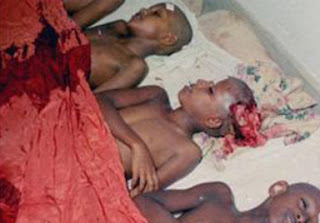 In November 1995 LTTE attack Siyambalanduwa village hacking to death 5 children the youngest just 18months. In 1988, a suicide bomber exploded himself in a passenger bus killing 34 civilians including 7 children. In May 1985, LTTE dressed in Sri Lanka Army uniforms attack Sri Lanka’s sacred city of Anuradhapura and shoot at the Buddhist devotees killing 146 including children praying to Buddha. 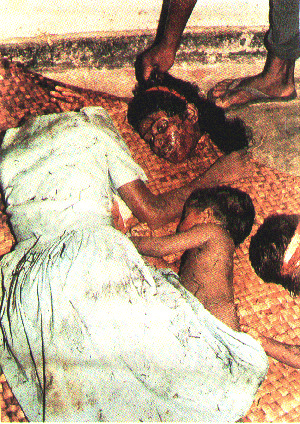 On the same day LTTE raid an ancient village also in Anuradhapura killing 18 villagers including women & children. 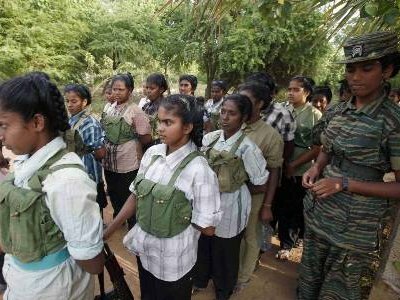 · This is just a handful of examples that depict pre-meditated attacks by the LTTE which certainly denotes war crimes & crimes against humanity yet the international community never gave air time nor took these matters before the UN or UN Human Rights sessions to discuss any resolutions to end. Instead what was suggested was peace talks, negotiations & ceasefires which gave room for LTTE to regroup, rearm & renew its strategies to kill. At this stage Sri Lanka needs to also remind the world that Prabakaran was cornered by Sri Lankan troops in July 1987 before he could use Tamils as human shields and without a single civilian loss of life in any accidental cross fire. Sri Lanka could have ended terrorism but India demanded Prabakaran’s release threatening to send its troops to Sri Lanka if Sri Lanka refused. This single incident is important for several reasons – since 1987, Sri Lanka has had to endure unprecedented acts of barbaric terror and when LTTE has needed breathing space the world suggested peace talks. In using an image to cry foul and accentuate Sri Lanka’s guilt of war crimes, the international community must first answer why a terrorists son gains importance over other children who have over 3 decades been hacked, knifed, shot or killed by suicide attacks? These dead children and their parents deserve an answer for they would feel extremely hurt that so much outpouring prevails over a terrorist’s son when only a diplomatic statement was officially sent when their children were killed mercilessly by the LTTE – especially when the President of the US flanked by his generals & US Secretary of State were watching an unarmed Osama being killed by US troops in Pakistan via satellite TV! The inquiry is not just about a child being killed but an elected government army functioning with no regard for law or humanity. 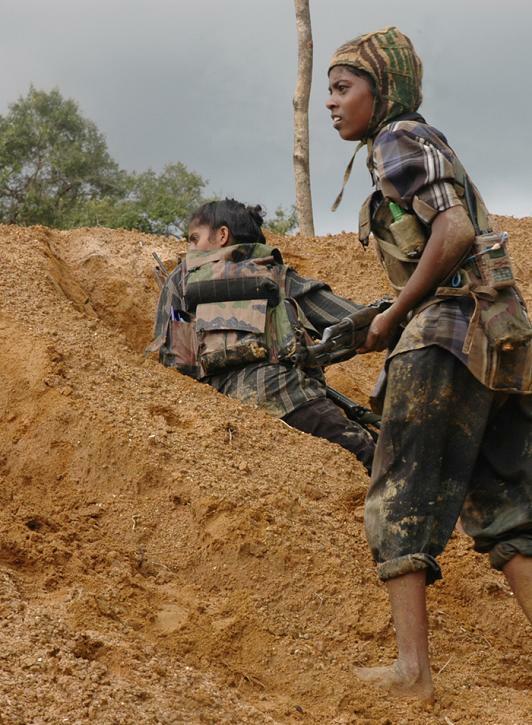 There is a reason why the LTTE is considered a TERRORIST organization around the world. It is because they committed violent acts against civilians without a fair trial. I would expect my government to behave not as a terrorist organization would. The government should accept an inquiry by the UN on this. Are they After our Oil... ??? ?